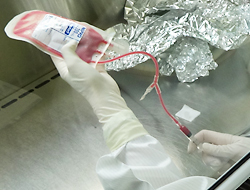 Our department was established in 1990, in order to manage the transfusion medicine and the cell processing for hematopoietic stem cell transplantation. 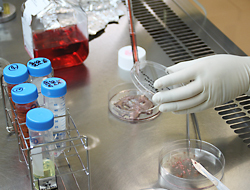 Beside the transfusion medicine and testing in the hospital, our department has been supported translational research and managed IMSUT-Cell Resource Center (IMSUT-CRC), where Tokyo Cord Blood Bank has been established in 1997. 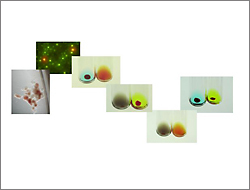 Recent our projects include Research CB Stem Cells Bank as National Bioresource Project (NBRP) supported by MEXT and CB and umbilical cord (UC)-derived mesenchymal stem cell banking for clinical use in the future supported by Ministry of Health and Welfare. And we developed immunosuppressive therapy for severe GVHD after hematopoietic stem cell transplantation using expanded regulatory T cells from CB and adult blood, or UC-MSCs. 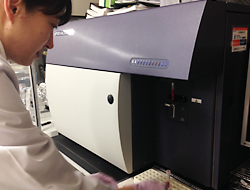 Copyright © 2014 Department of Cell Processing and Transfusion, IMSUT Hospital, The Institute of Medical Science, The University of Tokyo. All rights reserved.